Im a Fan of Gentle Dental Putney... Are you? Fill in the below form and you can recommend ‘Gentle Dental Putney’ to a friend or family member via a text message. Show your support with a quick share of ‘Gentle Dental Putney’. Visit GENTLE DENTAL PUTNEY on Putney Hill, Putney SW15 and you will experience professional service, gentle treatment and personal care. 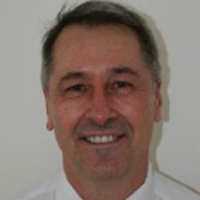 Dr Etienne Potgieter has been serving the Putney community since 1989 and has established a reputation of friendliness and openness by encouraging a two-way connection with our clients, instead of one-way clinical advice/treatment. Here in bustling Putney we established a friendly and helpful team that will exceed your expectations. Dr Francois du Toit did a very complicated multiple root canal procedure on a molar and saved my tooth which I was repeatedly told to extract by NHS dentists. He also saved the next smaller tooth which had a hidden cavity not previously identified. I consider myself really lucky to discover Gentle Dentle Putney and now won’t go anywhere else. I can highly recommend them for professionalism and the high quality of dental treatment they offer. Had an implant which was a procedure I had put off for a while but it was relatively painless and the team at Gentle Dental were great. Really pleased with the outcome. I have no hesitation in recommending Gental Dental Putney. Thank you Dr. Potgieter for your integrity and first class dentistry! This is a happy Dental Surgery and all the staff are very caring and friendly. At 30 years old, Dr Potgieter has given me a smile I’m finally proud of. Thank you! Loretta, Thank you for the email, it’s unexpected, but much appreciated (great customer care) Just wanted to firstly say that I’m very impressed with the personal touch, such as being addressed by my first name by all who spoke to me and how everything went so smoothly and quick. It’s a very comforting approach and one that makes me want to return. The appointment was great and went well. I like the way Ilze took the time to explain and show me what was happening, so I like to pass on my thanks to her. I would just like to thank the entire team at Gentle Dental for the wonderful care I received. Everyone went out of their way to make me feel comfortable and at ease. I am/was terrified of the dentist and a root canal was my worst nightmare but Etienne and his team were wonderful and I can honestly say I felt no pain. Actions speak louder than words and I can say that they are so good I will now voluntarily visit this dentist every six months. Thank you!